It’s not that Patti Page got it wrong. 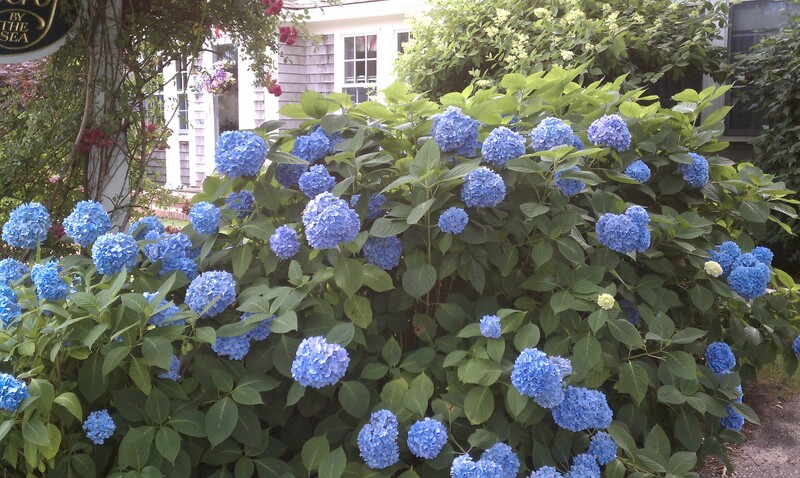 Visitors to Cape Cod will still find sand dunes and salty air, quaint little villages here and there, it’s just that Patti didn’t sing about one really important Cape icon -big, showy, blooming hydrangeas! 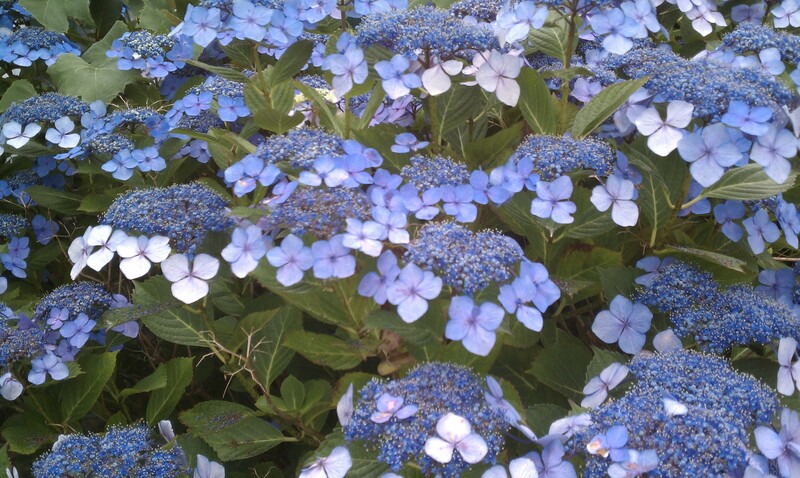 “Indeed, the blue hydrangea (hydrangea macrophylla or big leaf hydrangea) is one of the signature shrubs of a Cape Cod Garden,” according to Roberta Clark in her “Growing Hydrangeas” fact sheet from the UMASS Extension Program. Why? Cape weather – misty – and the soil – sandy – give the shrub the one-two boost that makes it so beautiful and demanding of attention. And the colors! Blue to purple to white and pink to deep red. 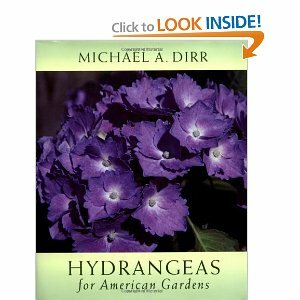 Those colors are heighted by the aluminum in the soil. The more aluminum, the deeper the blue. The lack of aluminum, the more pink the blossoms. 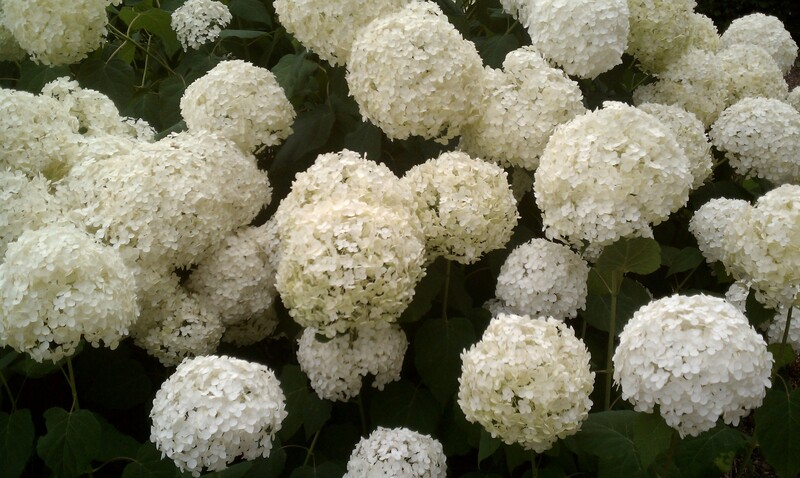 White hydrangeas remain white, regardless of the soil content.